The tree, reaching 4-18 m is long-lived and typically round-topped, fairly open, erect, sometimes crooked or willowy; seldom with a spread of more than 4-6 m. The leaves are deciduous, alternate, ovate-elliptic, 7-25 cm long, leathery, glossy on the upper surface, brown-silky beneath; bluish-green, turning in the fall to rich yellow, orange or red. Male and female flowers are usually borne on separate trees; sometimes perfect or female flowers are found on male trees, and occasionally male flowers on female trees. 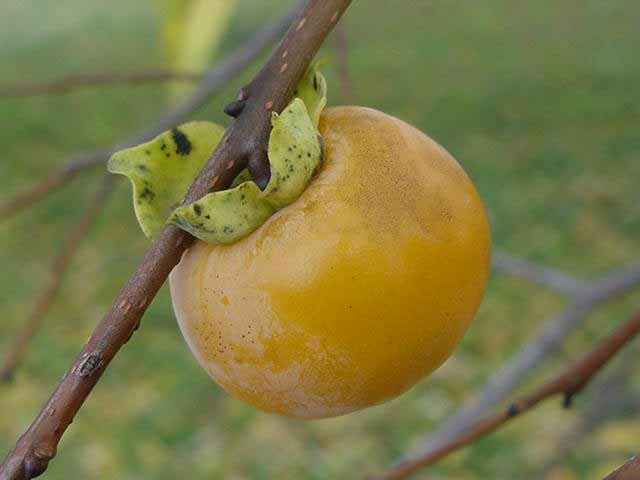 The fruit, capped by the persistent calyx, may be round, conical or oblate, has thin, smooth, glossy, yellow, orange or red skin, yellow, orange, or dark-brown, juicy, gelatinous flesh, seedless or containing 4 to 8 flat, oblong, brown seeds 2 cm long. 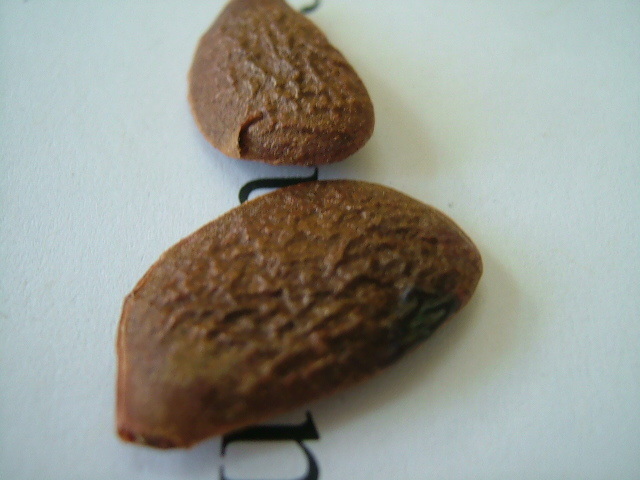 Generally, the flesh is bitter and astringent until fully ripe, when it becomes soft, sweet and pleasant, but dark-fleshed types may be non-astringent, crisp, sweet and edible even before full ripening. 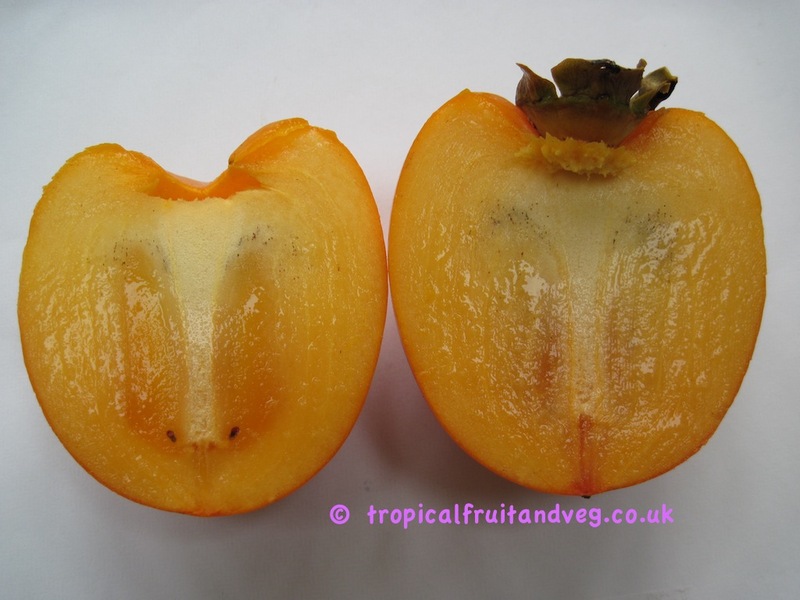 Fully ripe persimmons are usually eaten out-of-hand or cut in half and served with a spoon, preferably after chilling. 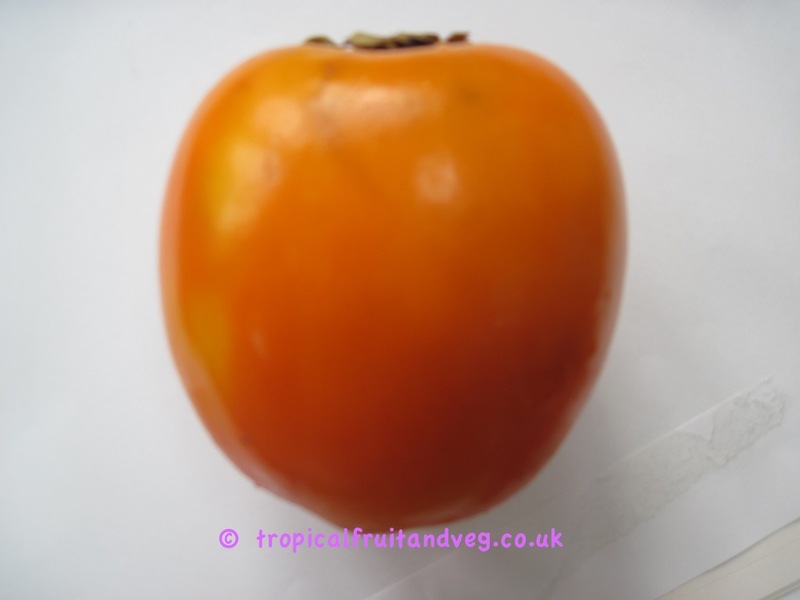 The Japanese persimmon needs a subtropical to mild-temperate climate. It will not fruit in tropical lowlands. The atmosphere may range from semi-arid to one of high humidity. Trees have been known to withstand temeratures as low as -6�C. The tree is not particular as to soil, and does well on any moderately fertile land with deep friable subsoil. While the young tree needs plentiful watering, good drainage is essential.